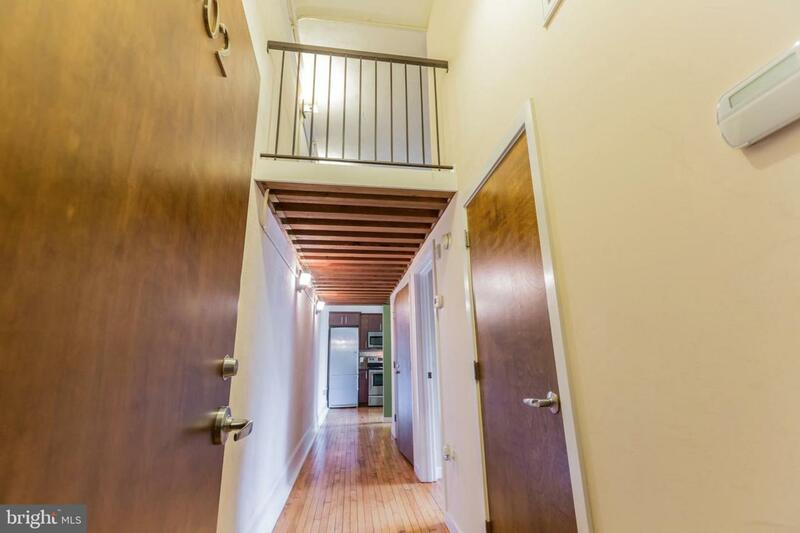 An unbelievable opportunity to own an awesome loft at an amazing price at The Hawthorne Lofts in Bella Vista. 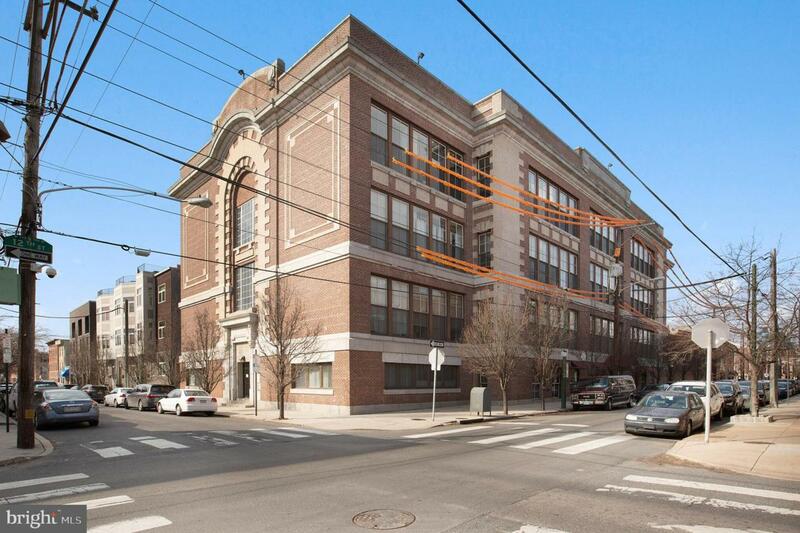 The Hawthorne Lofts is a converted school building with tons of original character and amazing amenities including a sauna, a gym, a large common lounge that includes a pool table and TVs; and an expansive rooftop deck with 360 degree views of the city and skyline. This unit boasts extra high ceilings, original factory hardwood floors, ample storage space, large windows allowing for tons of natural light, a sleek and modern kitchen with granite counter-tops, stainless steel Bosch and Samsung appliances with warm wooden cabinets and granite counters, classy tile backs plash, pendant lighting and granite breakfast bar. 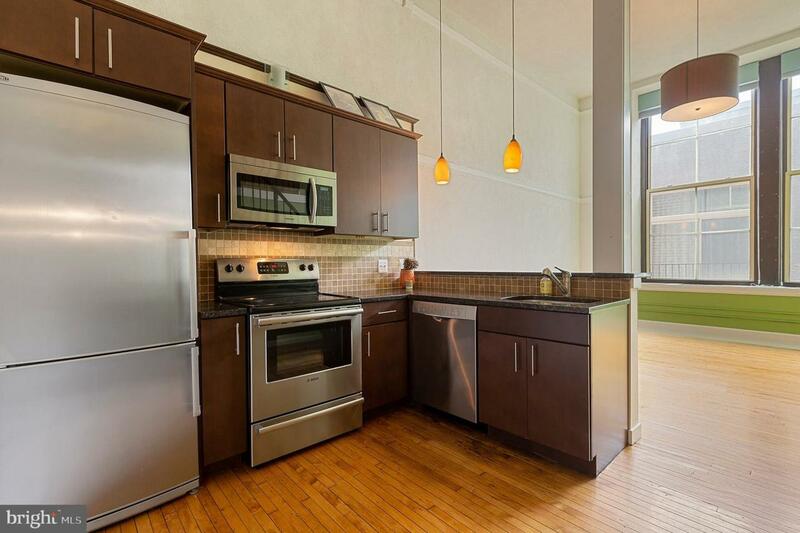 The large living room off the kitchen can be used as both a dining area and living room. The bathroom includes granite counters and modern lighting fixtures. The second floor space opens up into a lofted room which can be used as a bedroom, artists studio or home office. 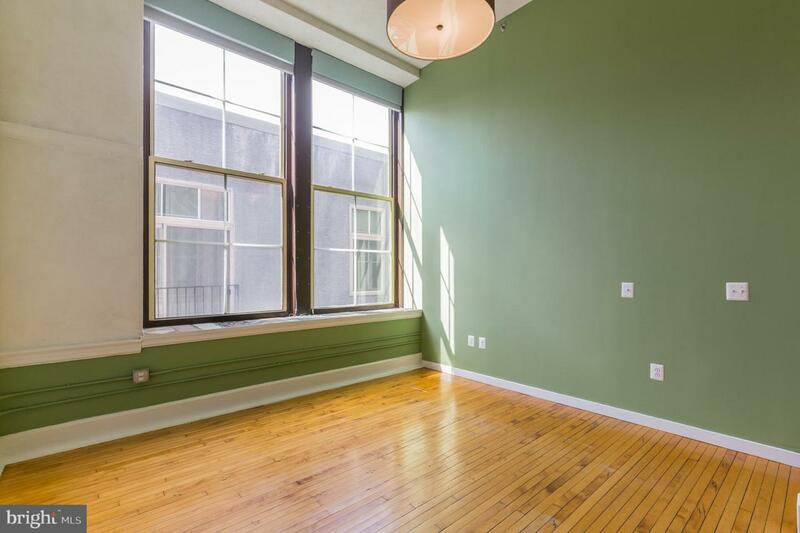 The Hawthorne Lofts are situated just blocks away from the Italian Market, Whole Foods, restaurants, nightlife and minutes away from Center City. Walk Score 95. You will love it here!